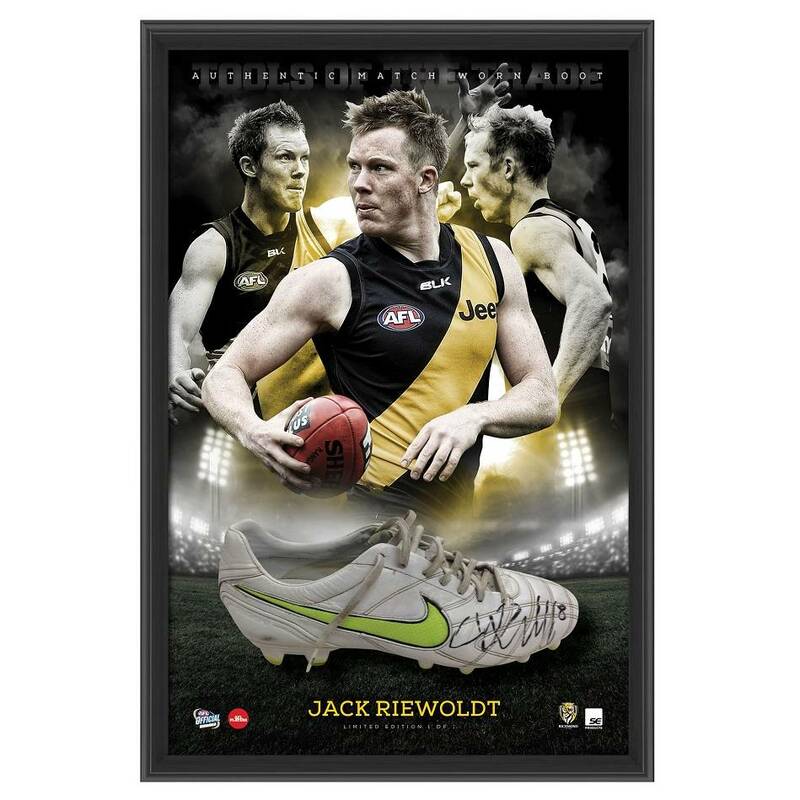 This magnificent piece pays tribute to Tigers star, Jack Riewoldt. Riewoldt’s arrival at the Tigers brought with it fresh hopes for a supporter based starved of success. Richmond’s spearhead has delivered, with a career year in 2010 seeing him take home the Coleman Medal with a mammoth 78 goals, along with the Jack Dyer Medal and an All-Australian berth.